Above is a before picture of our kitchen island. The picture below is how is looks after about three coats of brick red paint. Here is my question to all of you who are painting wizards. Should I put an antique glaze over the red? Hmmm....I need advice. I like it the way it is but might like it better with an antique look. What cha think? The next project is to put handles and knobs on the doors and drawers. :( Not too excited about that job but will love it when it is finished. We are also going to paint the kitchen and living and dining room a mossy green. When? I have no idea. Saving up my energy for that task. I had a bid from a painter for $990.00 to paint it. I think not, but I wish so. taken at the Ranch a week or so ago. Just when you think God has given you the blessing of seeing a most beautiful sunset, He makes the next one even more amazing. We are having our boys and some of their college friends over tomorrow for lunch after church. I have been having fun cooking plus working in the back yard today. I thought it would be fun to have a little "lunch party favor" (yes, I know they are not 12 yrs. old) for them to take with them to snack on. After so many years of birthday parties I guess I always think about fun party favors. Goofy, but I am sure they won't mind. It turned out so colorful and happy looking I thought I would share it with you. 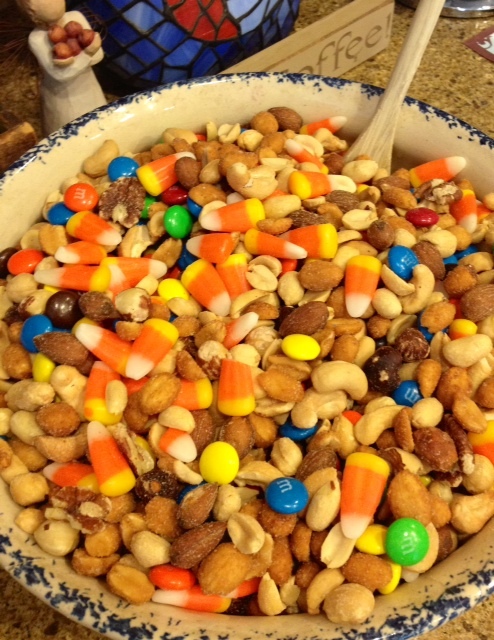 Easy and yummy if you are into peanuts and sugar. Who isn't? Mix and try not to eat half of it while you are mixing. 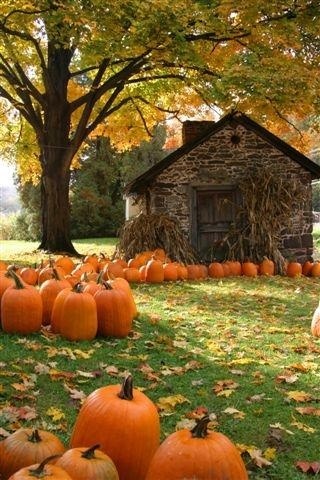 I guess this time every year in what might be the dog days of summer I start dreaming of pumpkins. Cool fronts, wearing sweat shirts and jeans, crunching leaves under foot, drinking hot drinks around a toasty fire. Actually, tomorrow we are going to plant a small fall garden in our back yard. We have no idea what we are doing but are very excited about it. Willing to learn and hoping to enjoy some home grown veggies of our own. We have dirt and we have water and we have sun. Here we go. Job 9:8 He alone stretches out the heavens and treads on the waves of the sea. The Sea- Peaceful and Angry. Breathtaking. Powerful. Hearwarming. Witness for God.